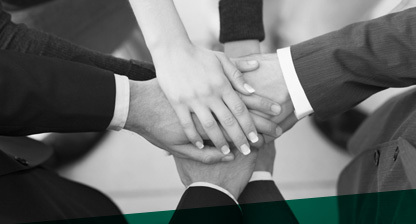 We value the construction of a coherent team with the essence of our activity. We believe in the power of a group who shares the same values and assigns them to the same purpose. Therefore we are concerned about recruiting professionals who above all, are committed to work guided by valuing the lives of workers and their families. Being a care multiplier is a commitment to people and their organizations. To achieve this, we need to make it a lifestyle in which the exercise of certain competences is fundamental. They are: interpersonal communication, dynamism, tolerance to adversities and flexibility to travel and ensure the effectiveness of our purpose around the world. We are demanding with the quality of scientific support we bring to organizations. We believe in the importance of strong bases and therefore value profiles that are willing to learn and to add new contributions. Our team is multidisciplinary and has room for development in the administrative, human resources and consulting areas.